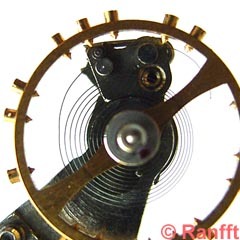 The only large-scale produced regulator featuring a free oscillating hairspring. 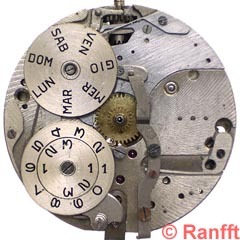 The end of the spring is fixed between two rollers, adjusting actually its length (photos at the bottom). 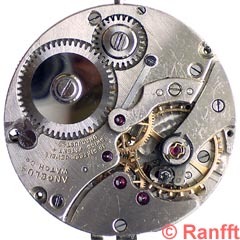 No isochronism error by the gap between the regulator pins.